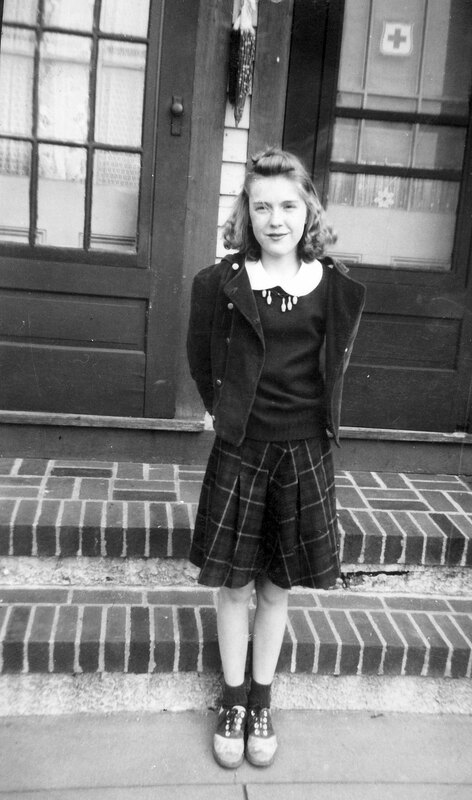 Some more vintage campus and saddle shoes images here. 3. As many headpin needles as there are pin beads. Slide first a headpin needle through a buffer bead (if you need one) and then the pin bead. Use some crafting pliers to make a hook at the end of the headpin needle. Then slide the hook through a link of the plastic chain. Press with the pliers to make the hook into a loop. I chose to use this plastic chain as same kind of chain was much used in jewelry in the 40's. Attach as many pin beads as you like. I used eleven beads and attached them to every fourth link. The length of the plastic chain depends on how low you want the necklace to hang. 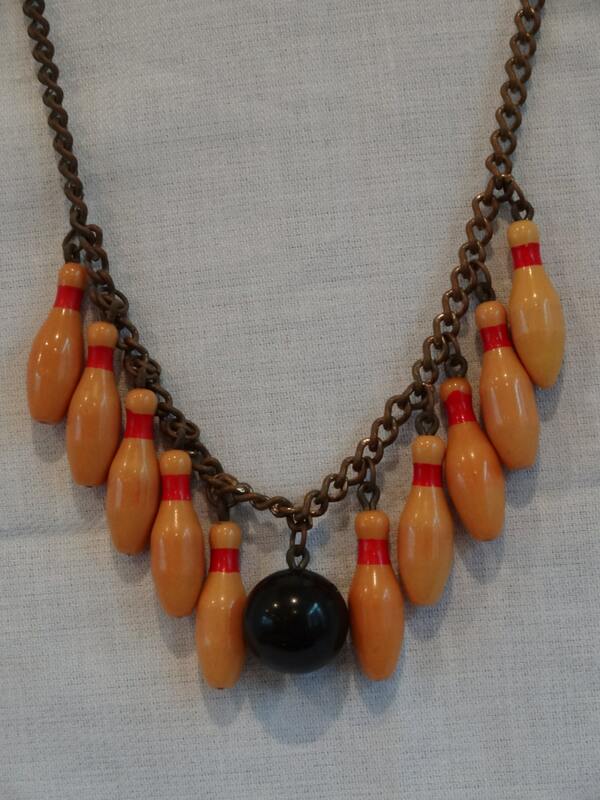 That bowling pin necklace IS cute! I love your rendition of it! Thank you so much! :) It´s encouraging to receive nice feedback!